The cloud storage has been certainly amazing and way Dropbox, SugarSync and Box have come up with free offers, manufacturers have realized that they should offer free storage as well and as such HTC and Samsung offers 50 GB of free storage with purchase of the latest smartphones. 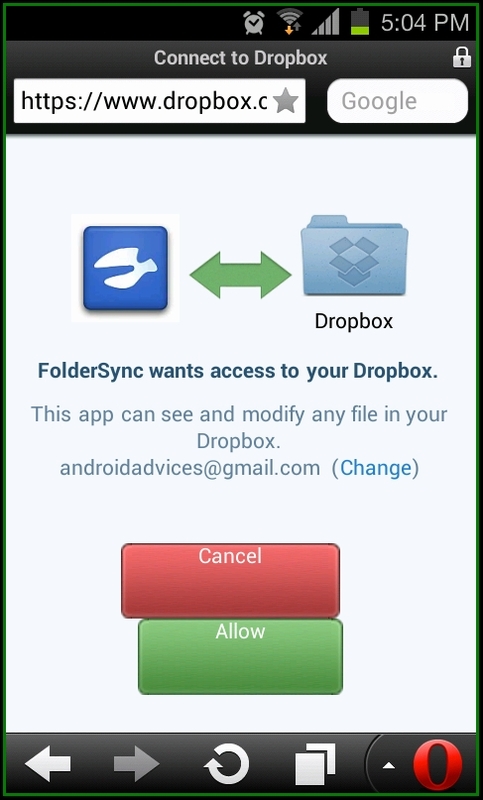 The FolderSync an Android application allows you to easily sync various files between your Android device and the cloud storage. 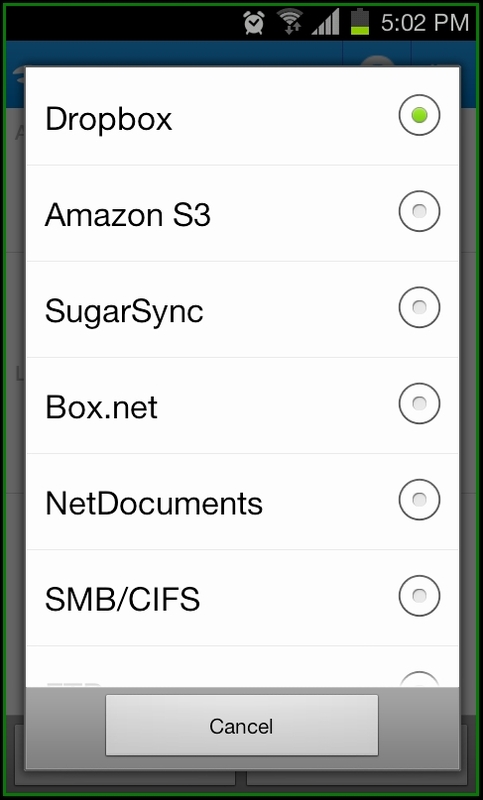 Currently FolderSync supports multiple cloud hosting services like SkyDrive, Dropbox, Ubuntu One, Box.net, SugarSync, HiDrive, Google Docs, NetDocuments, Google Drive and Amazon S3. 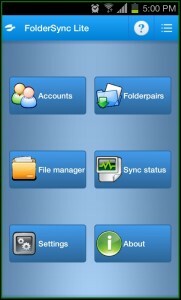 FolderSync provides effortless syncing of your files so that you can easily backup your music, pictures and other important documents from your phone to your cloud storage. 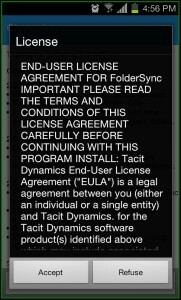 As soon as you install this application and run it on your mobile phone you would be asked to accept the license terms. You will be further proceed to changelogs providing what’s included in the new version. 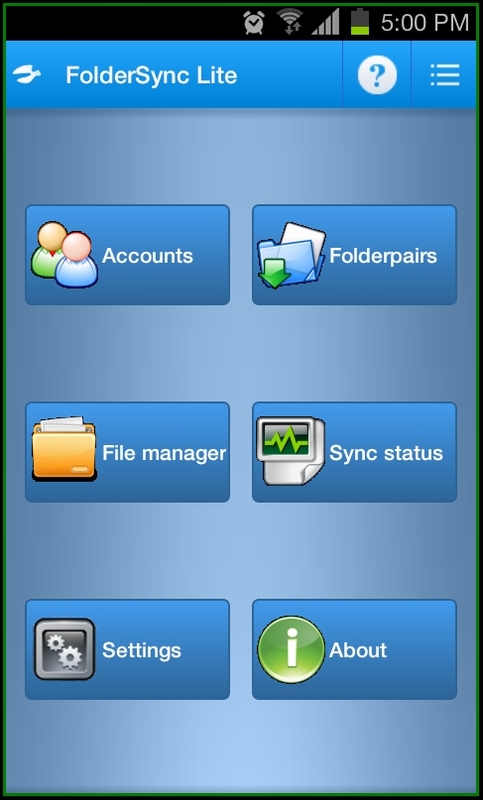 Now you would be proceeded to FolderSync Lite where in you see Accounts, Folderpairs, File manager, Sync status and Settings page. 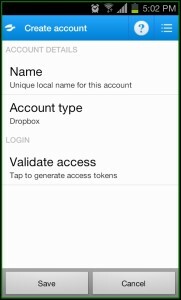 To add an account you need to tap on the Accounts section and then at Manage accounts tab you need to tap on Create New to setup up a new account. 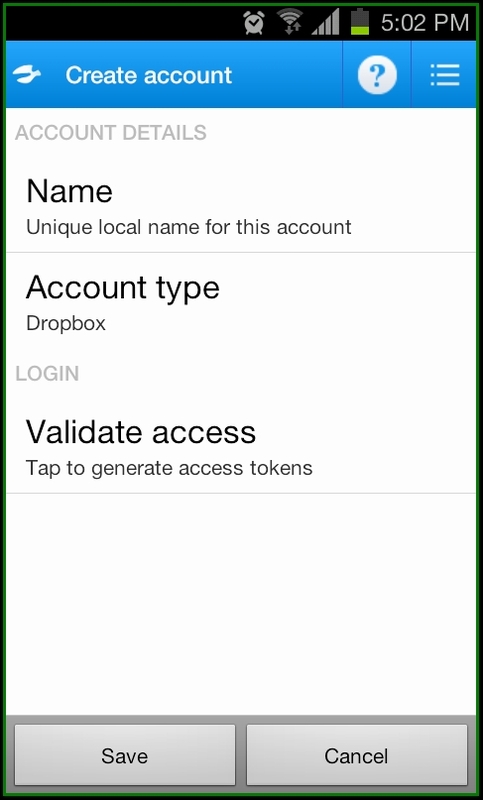 Now at Create account section you need to name the account for your reference and further provide the account type such as Dropbox, SugarSync or any other. When you are done tap on Save. 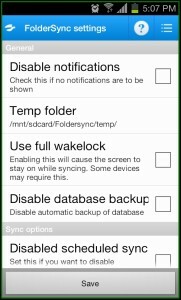 But when you do that it will ask you to provide the access token and once that is granted your Dropbox account is linked with your FolderSync Lite. So that way you have added an account Now here comes the twist that you can add just one account and to add multiple account you need to purchase the pro version. 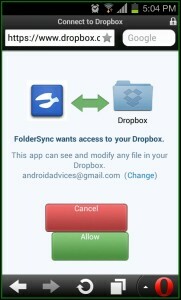 FolderSync Lite can be easily downloaded from Android Apps Labs for free. 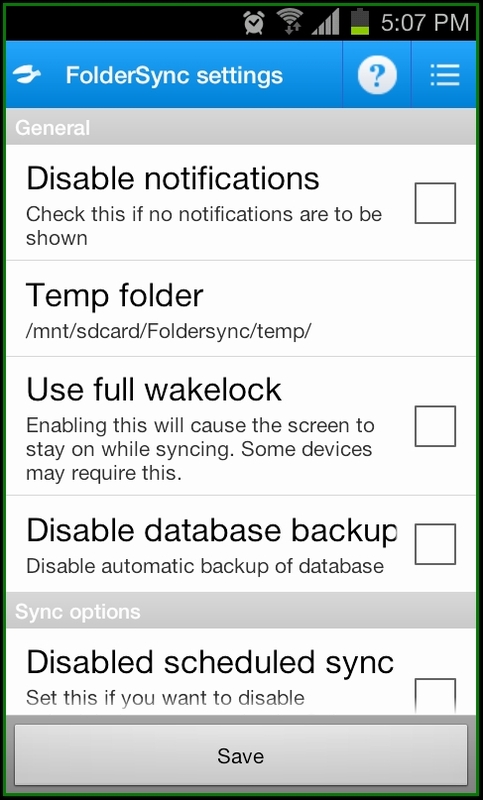 To download it directly on to your mobile phone, you need to visit the Android Apps Labs page listing of FolderSync Lite application from your phone’s browser and then click on Install to automatically proceed with the installation. 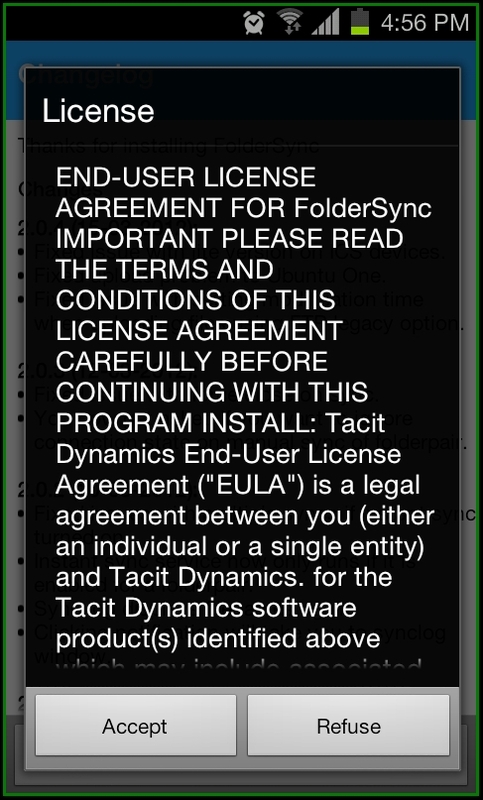 The FolderSync Lite is just for the user experience to understand how FolderSync the paid application will work out to manage all your cloud services together at one place. 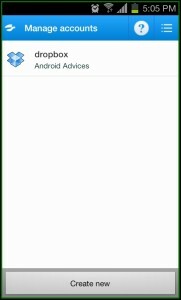 The lite version is of no use as if you are managing single account using this, its better to download the source application. 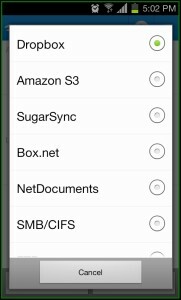 hell ….. title is misleading “Sync Selected Folders” you didn’t even touch how on like dropox you can do Selective Folders Sync. Weird – I commented on this article and so did a few people, no they’re gone? Is that a trick to avoid any bad press? My comment was and still is, there is no option to select Google Drive despite what the article says. Hey Billy, If you check out we are implementing a new commenting system which is why 60000+ comments are still pending to be re-added back to the respective articles. Stay Tuned. In the changelog it only mentions ‘Google Docs’ – nothing on ‘Google Drive’. I’ll try Sandisk instead. There’s no option to select ‘Google Drive’ as an account. The changelog says that Google Drive support has just been added, is it not found? The Lite version has nothing much Pro version does better! 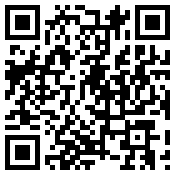 Multi Chat Client for Android with Support for Facebook Messenger, GTalk, Skype, MSN, ICQ/AIM, Yahoo!